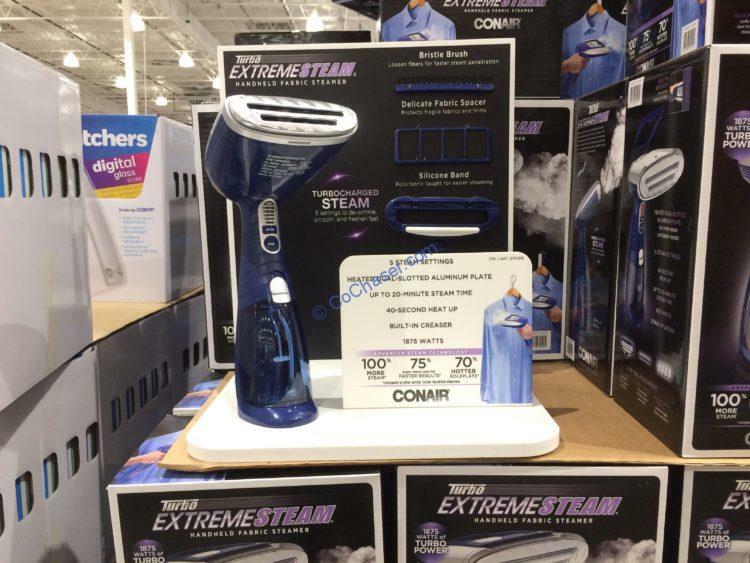 Dubbed a powerful handheld steamer, this Conair Handheld Garment Steamer utilizes advanced dry steam technology by an exclusive 1875-watt steam generator that penetrates fabrics to release wrinkles easier than ironing. The steam is hotter and the results are faster. Press Turbo to supercharge this steamer to instantly release wrinkles, refresh upholstery, and give garments a professional, fresh-pressed look.